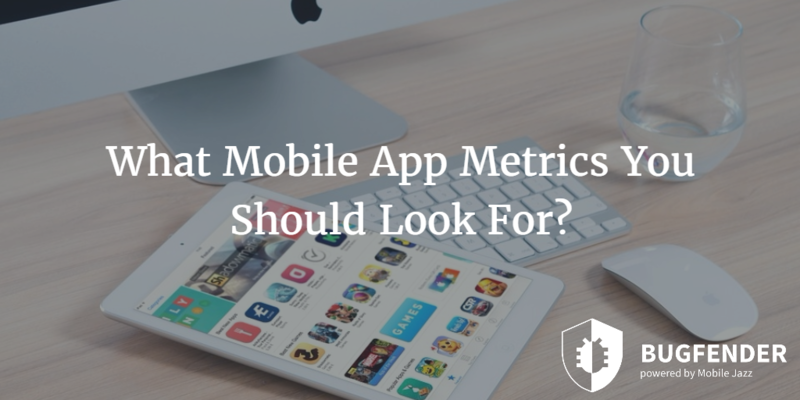 What Mobile App Metrics You Should Look For? Contrary to popular belief, development is not the only challenging part of the overall lifecycle of a mobile app. 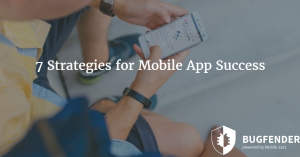 In almost every case, app developers face the challenge of measuring the performance and success of their app. Interestingly, these metrics may vary depending on the nature of the app and there are many other factors that come into play too. Failure to track down the room for improvement is a major reason behind the failure of thousands of apps released every day. Actually most applications that “fail” are not because of technical issues, but because of a lack of success in terms or adoption. Performance and success measuring metrics help developers see things from users’ perspective. Developers can see users’ actions and their results as well as the overall user experience. With the help of that information, developers can improve things and this enhancement in user experience plays an influential role in the success of app in the long run. Let’s see what mobile app metrics you should look for. Number of downloads is the basic performance metric; it is the number of users who install your app on their devices. With this metric, you can see how many users have installed your app via organic search, ads, word of mouth or friend referral and paid campaigns. Learnign which is the most effective traffic channel, would help in making the decision about which channels to invest more resources. Also, developers can test different paid campaigns and compare their results and cost efficiency. Although number of downloads is a basic metric that does its job perfectly, it does not denote the number of active users at any given moment. This metric is important because all the people who installed your app on their phone might not even open it. Also, people might not delete it and that skews the analytical data. For example, if 10,000 people installed your app on the first day, then use it for a while but they didn’t come back. Even if they didn’t uninstall the app, if they don’t come back they are not “active”. That would mean there is something wrong and you need to improve your app. User engagement sometimes refers to the active users but sometimes it doesn’t. Actually this metric and its definition vary from developer to developer. And different app marketers might see it from different perspective. Usually it means how many time users have opened your app on their device in a given time period. Also, other actions taken by users like doing a specific action or spending money on IAPs could be considered user engagement too. User interactions with the mobile app could be categorized in two sections: interval (frequency of their usage) and session length. Both of these metrics help developers and marketers analyze the users’ behavior, how they perceive the app and how important is the app to them. Session length indicates the time a user spends running the app while the frequency of their usage denotes the usefulness of the app to them. Interestingly, these two metrics are usually considered as a single metric because of their high dependency on each other. User acquisition cost which is also known as Customer Acquisition Cost (CAC). Refers to the money you spend on every new user acquisition. The cost may depend on the channel from which that particular user came. After the user starts using your app, you can calculate the cost and use this metric to see which marketing campaign and user acquisition channels are the most cost efficient. For example, a channel might bring lots of traffic/users but it is the CAC that matters the most. Of course you need to use Average Customer Acquisition Cost for different channels. Just like the cost, revenue is also calculated depending on the acquisition channel and you may also want to have an average. This metric can help developers and marketers understand how much they are spending on new acquisitions and how much they are earning from them. The average revenue must be higher than average user acquisition cost to move app toward success. In order to calculate the average revenue, divide the monthly earnings of your app on total number of users. Once revenues per channel are established, developers can tell on which channels they want to prioritize their investments. In-app referrals are also known as digital word of mouth and it is one of the most effective and cost efficient marketing method. Not only that, but this particular metric can help developers and marketers measure the performance and success of their apps. Developers need to add multiple referral methods so users can choose one according to their convenience. Some popular methods are via SMS message, email and social networks. This metric shows how many people tried to refer the app to their friends and how many of those were actually fruitful. It is also a good indicator of user satisfaction. 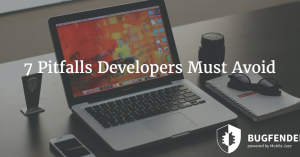 If your app frequently crashes, fails, slows down or delivers a poor user experience, it loses its value to users. Developers and testers need to adopt latest and useful app analytics tools to measure the stability, performance and reliability of the app. Not to mention the direct correlation between performance of an app and user experience. If your app delivers poor user experience, users will leave it eventually. How to Use Bugfender to Analyze App Performance? Bugfender can help developers analyze the performance of their app on real world devices and in real world situations. Developers and testers can access the insights and logs remotely from actual users’ devices. This tool is designed to discover bugs before the users do so developers can fix them as soon as possible. 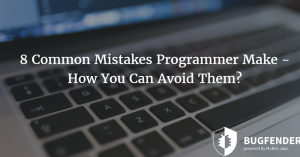 8 Common Mistakes App Developers Make – How You Can Avoid Them? as_cantina Created with Sketch. as_volkswagen Created with Sketch. as_tesco Created with Sketch. as_aimail Created with Sketch. as_starbucks Created with Sketch. as_safedome Created with Sketch. as_slack Created with Sketch.